The legs of the headboard are not attached so the first job is to screw these into the main headboard unit. 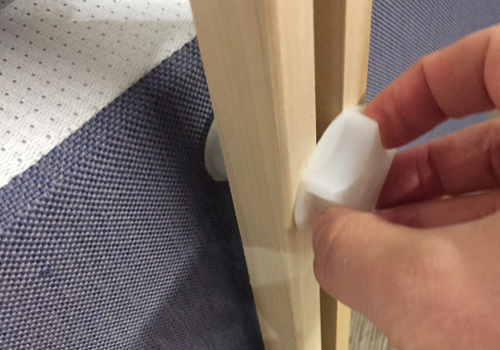 On each leg are 2 pre-drilled holes which you need to align to the 2 pre-drilled in the main headboard. 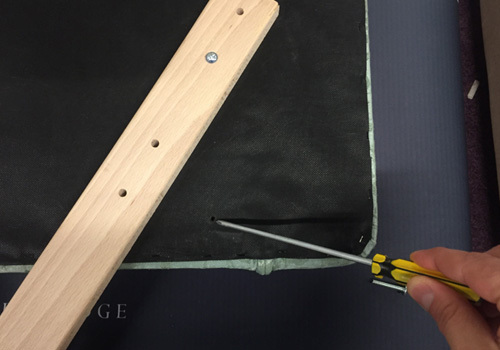 The pre-drilled holes in the headboard will be located under the fabric so run your thumb slowly over the back of the headboard to locate the holes, once located use your screwdriver to pierce a small hole in the fabric and securely attach the leg to the headboard with the screws provided. 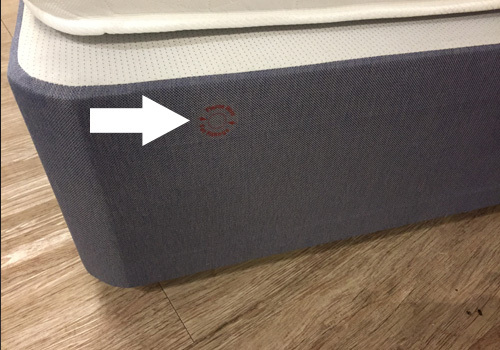 Bed bases will sometimes have pre-drilled holes at both the front of the bed and the back, if the base has storage drawers on one side only, the placement of the headboard will determine which side the drawers will open on so please keep this in mind. Large bolt holes will be hidden beneath the fabric so these will need locating first. 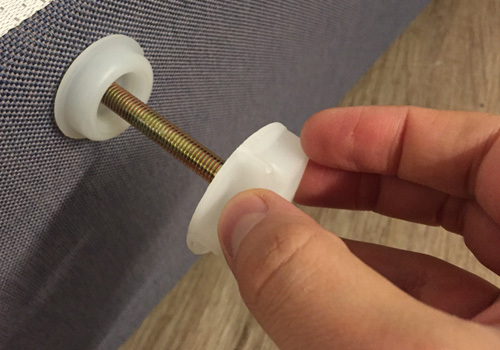 Carefully screw the bolt into the hole and leave about 4cm of thread visible. Repeat the same procedure with the second bolt. 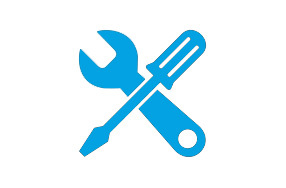 With the bolts firmly screwed into place, slide the prongs on the headboard legs in between the bed and the exposed bolt. Once both legs are in place start to tighten the bolts so the headboard legs are secured tightly between the bed base and the bolt. 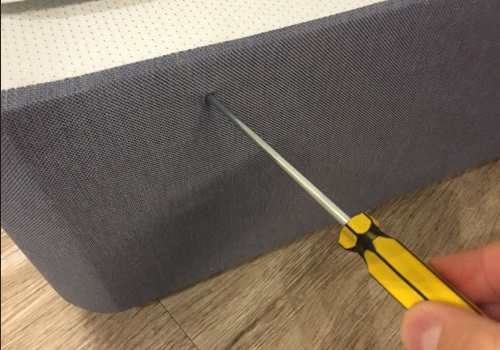 Ideally the bottom of the headboard needs to sit flush to the top of the mattress, if you need to make any adjustments, loosen the bolts and lift the headboard to the required height before re-tightening the bolts.